This casual contemporary sectional offers a plush two-tone look for your living room or family room. Spacious seating allows comfort for the whole family, with soft tufted cushion upholstered seats, two throw pillows, and a contrasting base in rich dark brown vinyl faux leather. 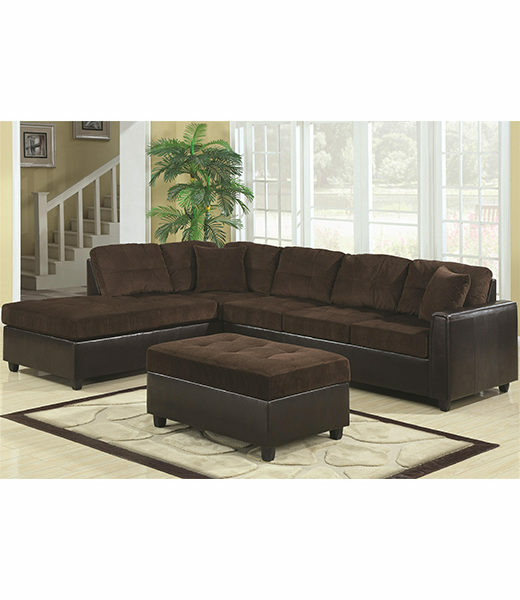 Item Description: This casual contemporary sectional offers a plush two-tone look for your living room or family room. 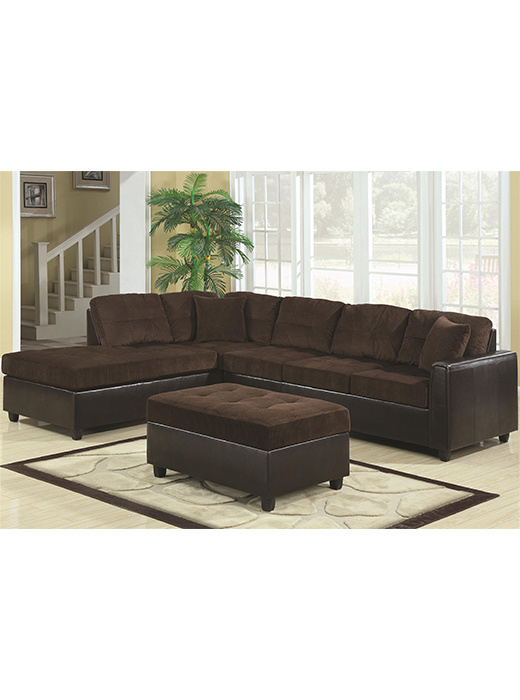 Spacious seating allows comfort for the whole family, with soft tufted cushion upholstered seats, two throw pillows, and a contrasting base in rich dark brown vinyl faux leather. With just a few simple steps the chaise can easily be moved to either side of the sofa, allowing you to create a configuration that works for your space and meets your needs. Complete your home ensemble with this comfortable sectional sofa. The Henri L-Shape Casual Contemporary Sectional with Reversible Chaise by Coaster is available in the Chicago, Illinois, Evanston area from Affordable Portables. Collection Description The Henri collection will give your home a casual contemporary vibe, with enough comfortable seating for the whole family to enjoy. Durably constructed, this stylish sectional collection will transform your living room or family room. The Henri collection is a great option if you are looking for Contemporary furniture in the Chicago, Illinois, Evanston area. Fabric Options Available in two-tone Chocolate Corduroy and Dark Brown Vinyl, or Beige Corduroy and Dark Brown Vinyl. Leg or Skirt Tapered exposed legs. Coil Construction Coil spring seating and webbed back construction for durability.